We spend lots of time talking with business owners about various strategies for exiting their businesses. Too often, we find owners choose strategies that just don’t serve them well. If you choose the wrong exit strategy, what should have been a great retirement filled with joy turns into a nightmare. You’ve decided to sell your business. You’ve found a business broker who finds you a buyer. There’s only one problem: Your broker tells you that the buyer wants to pay you only 40 percent up front, and you are going to need to “be the bank” and finance the rest of the purchase. After much soul-searching, you decide to go through with the transaction. After all, you’ve worked hard your whole life, and you know that the culmination of your business career is the sale of your business. So, you’ve sold your business. You no longer control what happens. And to make matters worse, you’ve not treated the sale the same way that a bank would. A year goes by and you find that your payments from the buyer start arriving late. You call the buyer and he tells you that he’s lost 20 percent of your clients and, because of that, he’s having a hard time getting the cash to pay you. You have a choice: You can take back your business (with the attendant legal hassles) or you can hope that the buyer gets the business he needs in order to pay you. Neither choice is very attractive. You don’t feel you want to rebuild your business. Instead, you just sit by and hope things don’t get worse. Another six months pass by, but instead of your payments being late, they just stop coming entirely. Again, there is little that you can do about this. You’ve sold your business and agreed to the buyer’s terms. There is nothing in your sales agreement that allows you to take over the business immediately. You’re forced to take the seller to court to get your damaged business back. In the time that you’re working the legal system, you learn that your buyer has not only lost the majority of your clients, he’s also damaged the business so badly that there’s nothing you can do to salvage the situation. Now the money you planned to get from your business for retirement isn’t going to be there. What do you do now? First, don’t do a transaction like this. If you sell your business to someone else and you have to act as the bank for the transaction, then for goodness sake, act like a bank! This means you need to do a thorough credit review of the person or group buying your business. If you are providing financing, make sure that you get all the guarantees up front that a bank would get. This includes making sure that your buyer provides you with a personal guarantee. Not only do you want a personal guarantee, you also want to make sure there are real assets behind the personal guarantee. When you make it easy to walk away, you’ll find that buyers will stop paying when life gets tough … and it always gets tough. If you really want to collect all the money from your sale that you’re entitled to, then be prepared to say NO to a sale unless you get a personal guarantee and appropriate security agreements from your buyer. Better yet, try a different way to leave your business. Selling your business is not always the best option. Many owners are using a different strategy. We call this the “wind down.” Instead of selling your business, you make your business smaller. The wind down is very simple: You find a home for 80 percent of your clients and you keep the top 20 percent of your clients—the ones who add the most value to your business. The reason this strategy works so well is because of a simple truism that exists in most business. Over the time you’ve been in business, you have accumulated many accounts on your books that you wouldn’t take today. When you first started your business, you would take any client who walked in the door, right? Twenty years later, you’re still serving that client. They take up lots of time and don’t provide much in the way of revenue. It’s really OK for you to tell them that you’re retiring and that you’re going to help them find a great new home. If you look at your book of business and only focus on the top 20 percent of your clients, you’ll likely keep 80 percent of your revenue, remove 80 percent of your costs and make much more money working just one day a week. Isn’t that a much better way to leave your business? There is only so much golf that you can play and there are only so many trips that you can take. Wouldn’t it be nice to keep your hand in an industry that you’ve grown to love? You’re going to have to do a few things. If you decide the wind down is for you, here are some things you’ll have to do to get your business ready. • Find a home for the 80 percent of the customers you want to let go. Make arrangement with a competitor that you respect and who will also respect your customers. They will most likely be thrilled to service these customers that you have cultivated over the years. • You’ll need to find a way to service the customers you do keep. If you jettison 80 percent of your business, you’re not going to need the staff that you presently have. Right size your business to meet the demands of your 20%. • Have a disaster plan in place. As you age, you’re going to want to continue to decrease the number of customers you serve. There’s even a possibility that before you wind down your business completely, a health issue could keep you from serving even the small group of customers you’ve retained. Have a plan in place for reassigning your customers if you can’t serve them anymore. It’s Really Not Very Hard. 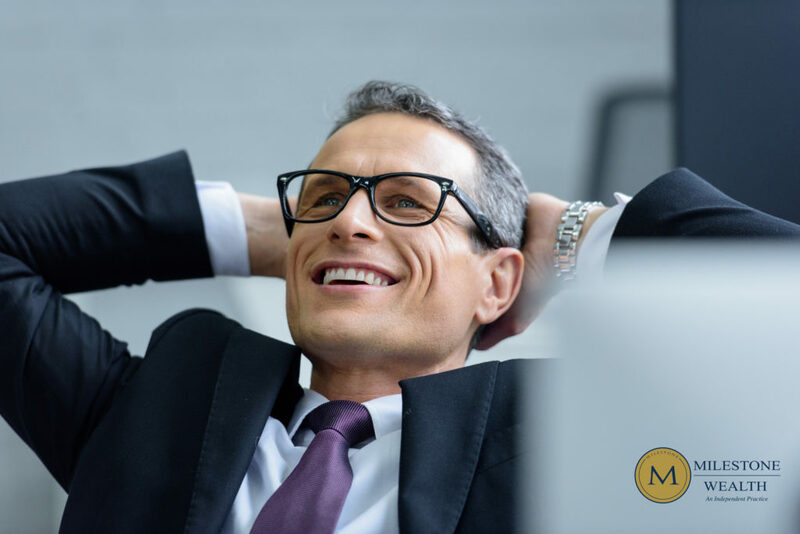 Unless you really hate the business you’re in and the business is based on you, a wind down is a much more profitable and satisfying way to leave your business. Setting up a business to pursue a wind-down strategy has fewer moving parts and is much easier than trying to sell your business to a third party. We’re always in favor of the simple solution and hope you are too. What do you think? Are you willing to give the wind down a shot? Previous PostSudden Wealth: What Should You Do If You Strike It Rich? Sudden Wealth: What Should You Do If You Strike It Rich?